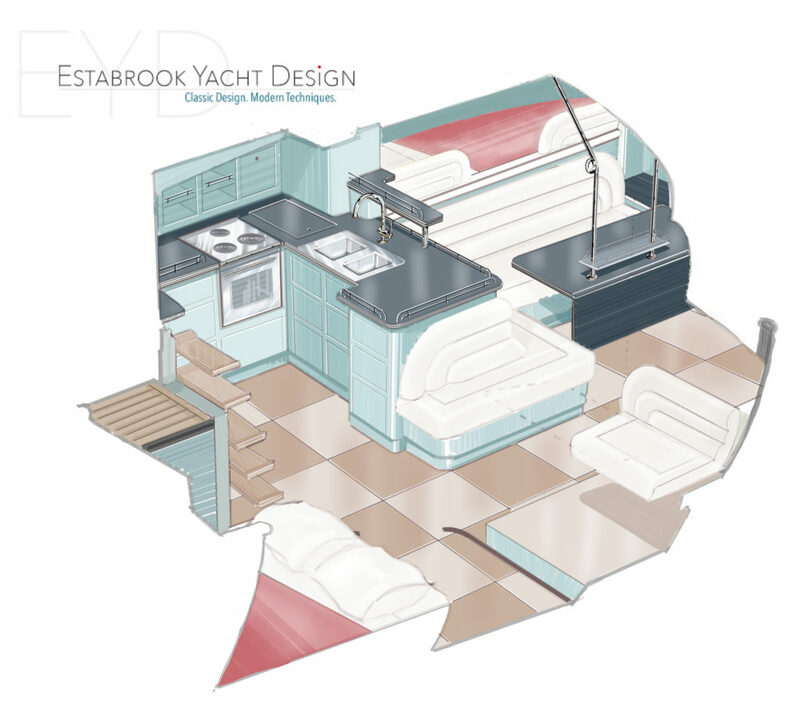 Estabrook Yacht Design – Classic Design. Modern Techniques. 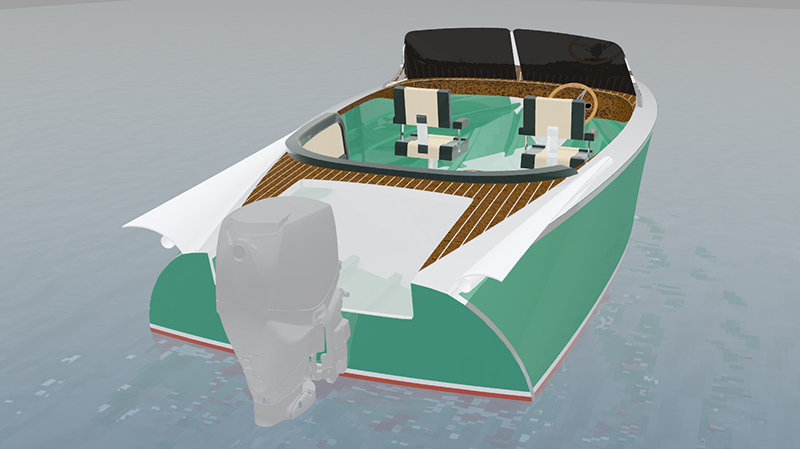 Sign up to stay informed about boat plans and kits. 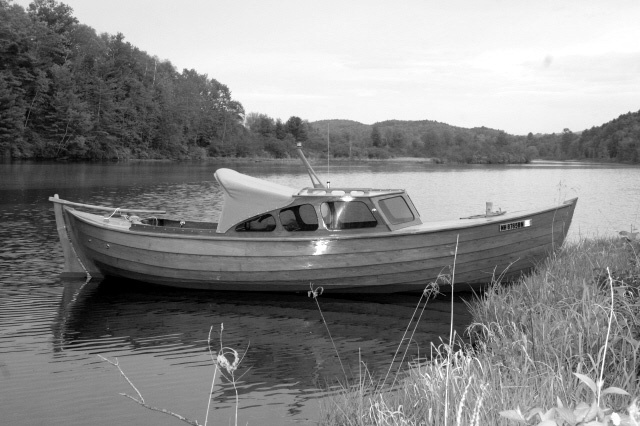 I’ve talked to a fair number of folks who like the idea of building their own boat…but only if it were easy enough to do and if they were assured it would look good when it was done. I set out to devise an appealing kit-boat to allow people to do that. Initially I was adverse to plywood. The romantic in me thought, wouldn’t it be nice if anyone and everyone could have the opportunity to put together a traditionally built boat? I mean…who wouldn’t enjoy that? A plank being screwed to a frame…they call it “crisping” when it makes that noise as the screw head seats into the wood. I planned on building the prototype, at least, traditionally. It all seemed serendipitous, so I jumped right in. 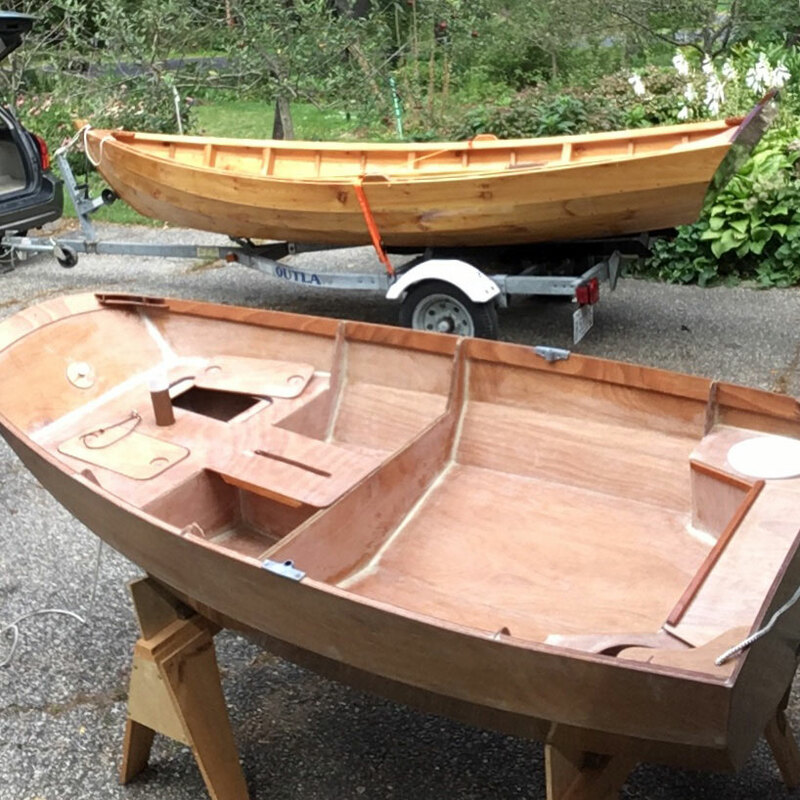 I wasn’t at it very long, however, before I came to the realization that, though this was exactly the experience I’d like to be able to share with everyone, there’s no practical way to create a kit boat for traditional wood construction. Although one certainly could come up with a kit, made up of solid wood parts which were pre-shaped to fit together perfectly, with carefully located screw holes, nail holes, rolling bevels etc… the costs would be prohibitive. You’d be putting a boat together, just to take it apart so that someone else could put it together themselves. So even before I completed Serendipity, I was already planning for something new. So I started another boat project; as you do. 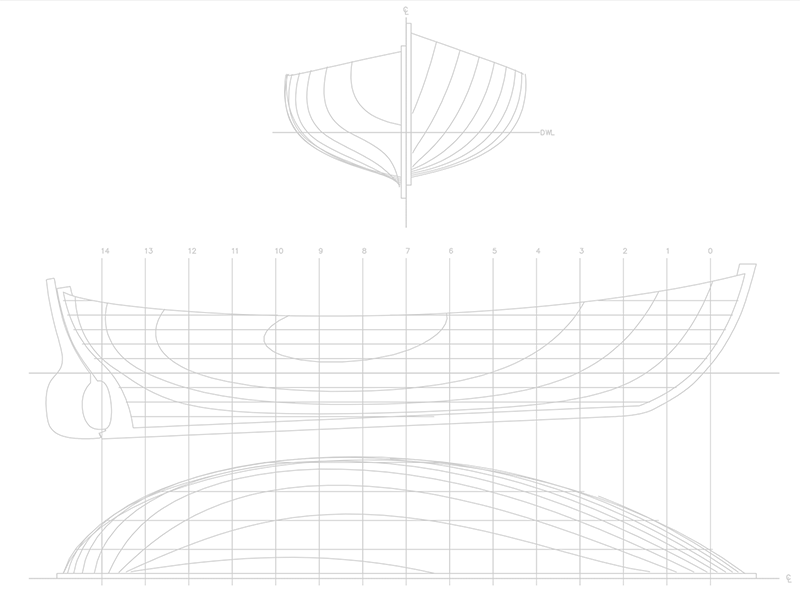 This would develop into my “Perambulate” Design. Learn more about Serendipity Plans and my new Perambulate Kit in Plans and Kits. 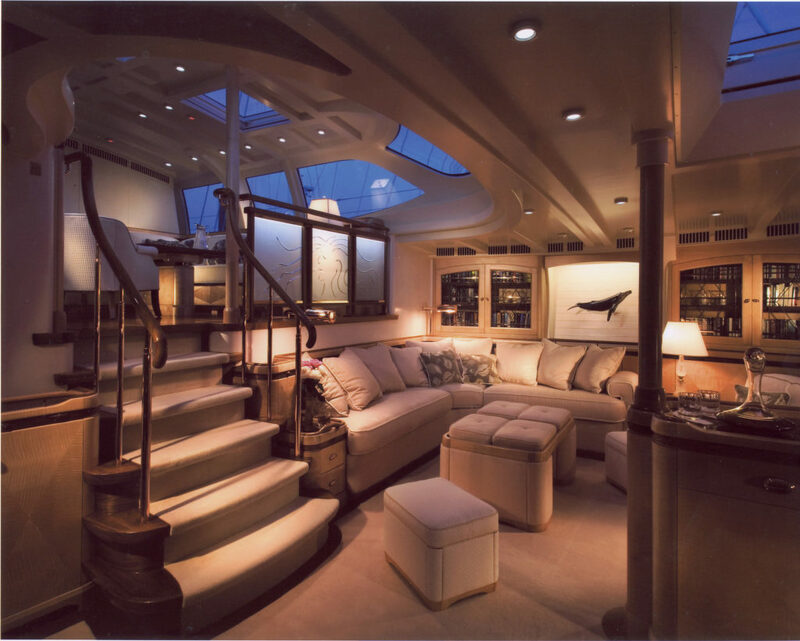 With over 20 years experience in yacht building, Naval Architecture and the design of fine joinery, I have a complete understanding of what it takes to get a project from the drawing board into the water. 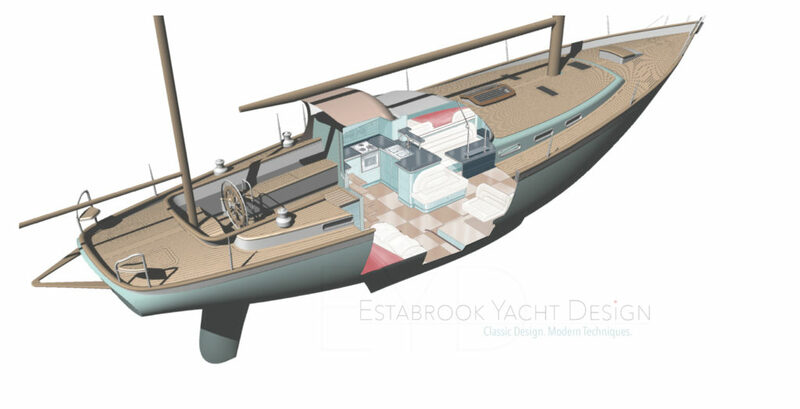 As a qualified designer, and graduate of Westlawn Institute of Marine Technology, I am able to take a boat from its initial concept, both interior and exterior, and create complete construction details specific to various building techniques, through to final production support and launching I am also able to act as an interface between other Naval Architects and Designers and the yards that build their boats. 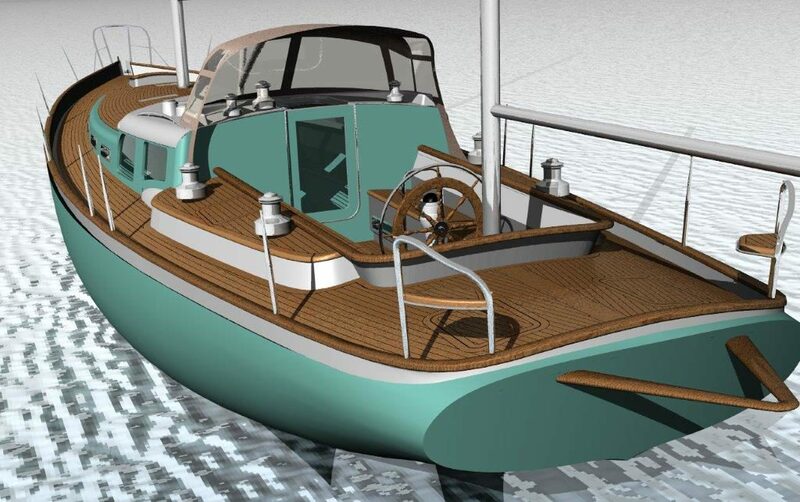 Currently, I am developing small craft plans and kits suitable for beginners and experienced boat builders. Join me on social to see my latest project coming together. 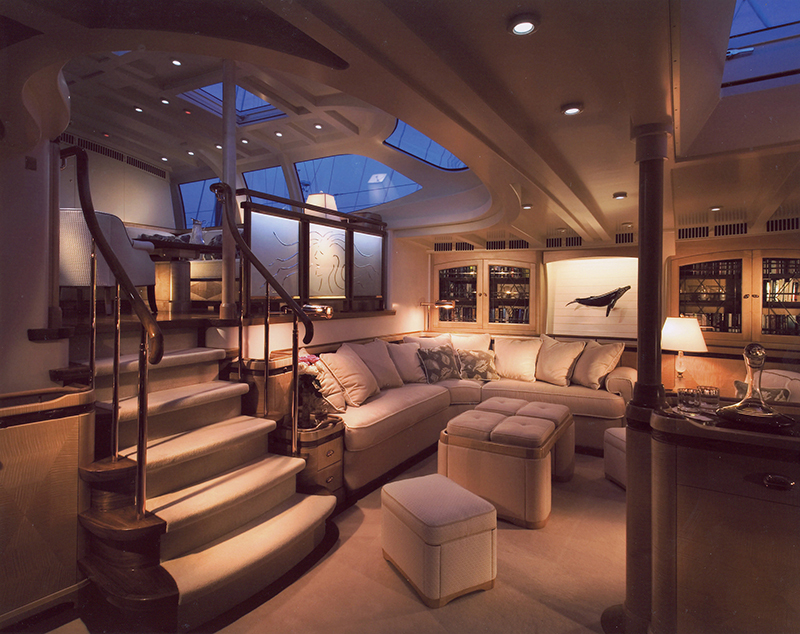 I've always seen the design and engineering of seagoing vessels as the zenith of the art form that is Architecture. Every detail of day-to-day life must be taken into consideration. Provisions must be made for all the comforts we come to expect in a modern living space—plumbing, electrical, light, sound, ventilation, furnishings—and the structure intended to support and contain it all. Now add to this the required functionality of moving your living space through water. 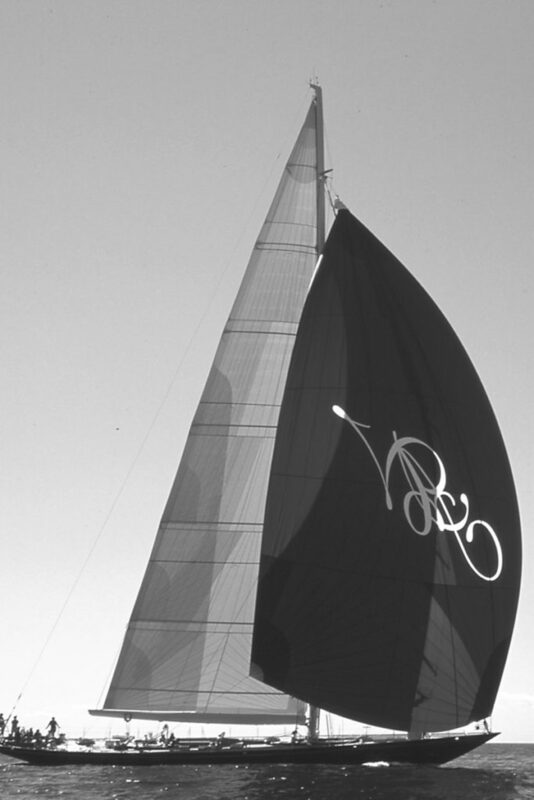 This is the challenge that is Naval Architecture. 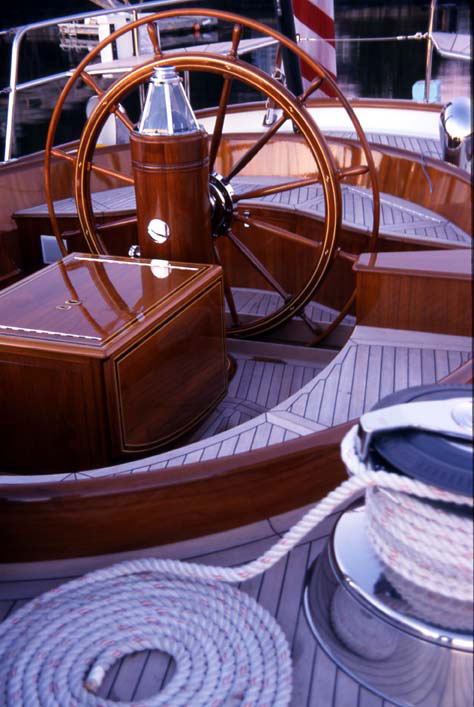 I have not only the technical training but the practical experience needed for dramatic yet efficient design in wood, steel, aluminum or composites. 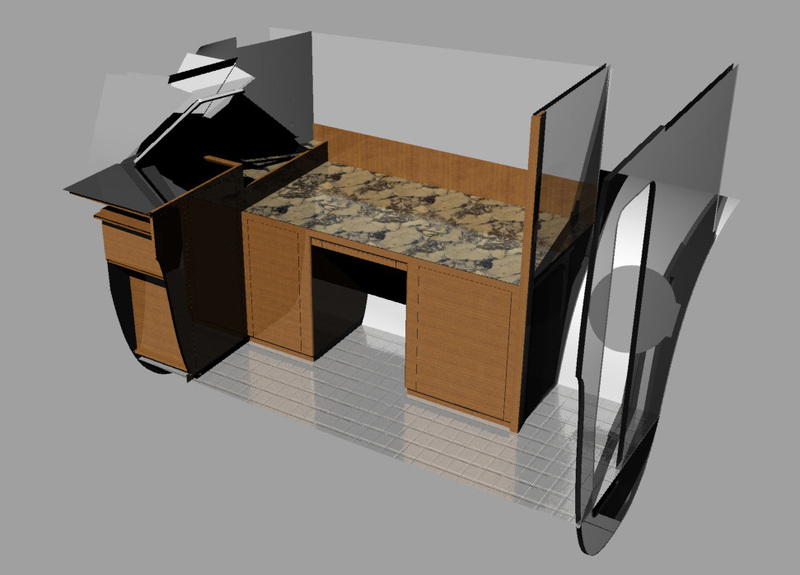 Let me help you develop and codify your interior concept or, I can implement any interior concept you present. I can integrate: Electrical, Plumbing, HVAC, incorporate a sound package to deal with noise attenuation, source fixtures, hardware and décor items. 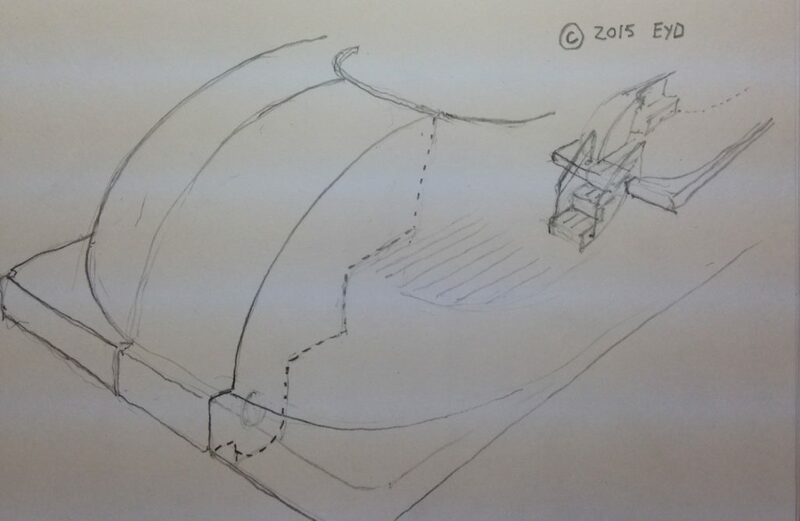 I can adapt drawings to take all this into consideration, while conforming to the individual yard's particular preferences in regards to construction techniques. 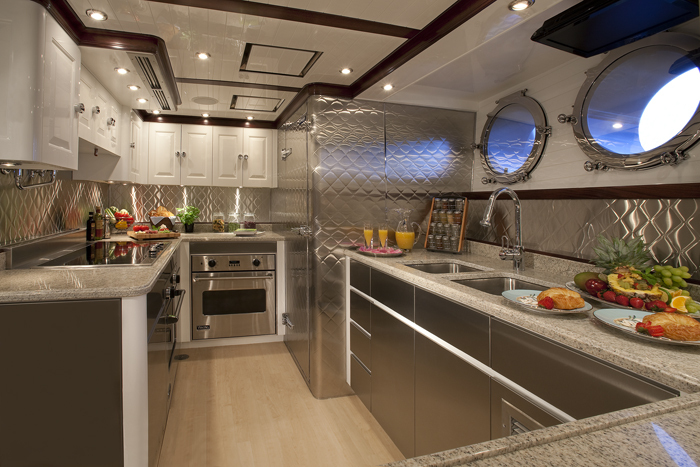 I’ve supervised interior fit-out in yachts of FRP, Cold-molded, Aluminum, and traditional Wood construction. 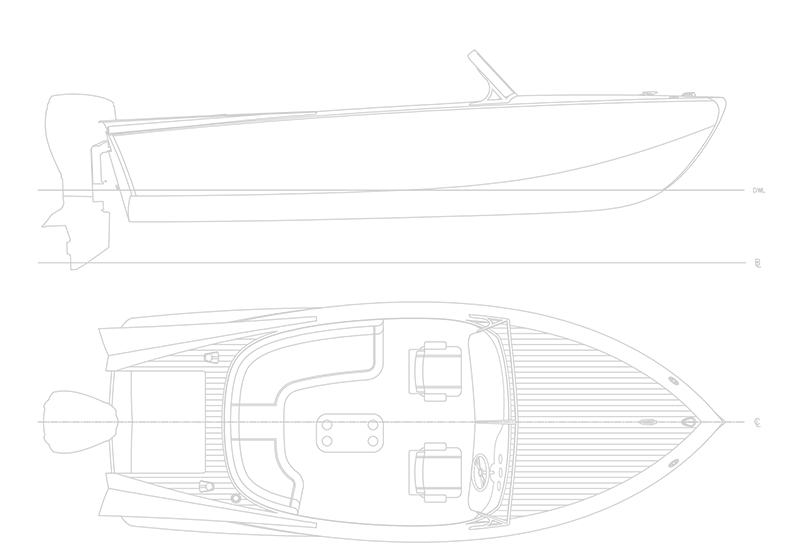 I am proficient with several types of CAD and surface modeling software including: AutoCAD, Microstation, MultiSurf, Rhino and SolidEdge. 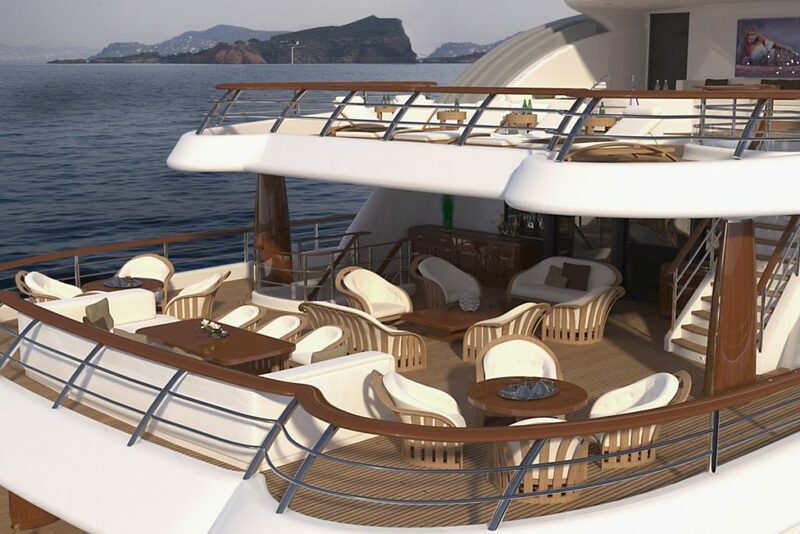 In addition I am experienced in traditional hand drafting, perspective drawing, marker rendering and rapid visualization. I've been trained in LEAN management techniques and I am familiar with Word, Excel, Outlook, Adobe Acrobat and Photoshop. I am a fluent in French. For more details, take a look through my portfolio and past projects.